Can AI solve the Brexit problem? The UK continues to barrel towards its exit from the European Union with little agreement on how it should happen. Whatever the politicians decide, and short of calling the whole thing off, the UK still faces post-EU challenges around border control, importing and exporting. Proponents of Brexit, especially those in favour of its harder forms, say technology can help us overcome these challenges. So, here’s a look at some of the problems Brexit could create and how tech – particularly AI – might be able to help. AI is already being used to solve problems that humans can’t solve practically. For example, algorithms are being used in medicine to predict the avoidable hospitalisations of diabetes sufferers. PayPal uses machine learning to identify and combat money laundering. The Washington Post has been using an AI to write some news stories since 2016. These are all complex use cases, that have been completely normalised in our technological sophisticated society. Making predictions, spotting patterns and deriving meaning from large data sets are incredibly useful functions of AI – so could they be applied to the challenges associated with Brexit? The introduction of additional checks at the border could cause significant delays to goods coming into the country. Uncertainty about the availability of imports could and has already led to stockpiling. AI could be used to monitor stock levels and trends to better predict shortages, eliminating unnecessary panic buying and helping organisations to budget more efficiently. A demand prediction model would tell businesses when they were likely to run out of a resource based on current and historic demand, but a reinforcement learning model could take fuller control of an organisation’s inventory management – making predictions and automatically acting on them with human oversight. If the direst predictions come to pass, people attempting to cross the border could be left waiting in their vehicles for days. So-called ‘smart borders’ may offer a solution. Smart borders use technology, risk management, cooperation and international standards to create secure and low-friction borders. The US and Canada created the first smart border in 2001. In 2013 the EU announced its own smart borders plan for people crossing its external Schengen borders. In the case of Brexit, a smart border could involve paperless administration, epassports, Automatic Name Plate Recognition (ANPR) and smartphone applications. AI could be implemented in the form of automated application vetting for ‘Trusted Trader’ status. Those with certified Trusted Trader status, says the theory, would not have to stop for inspection at the border. Concerning the movement of people and more specifically the Irish border, a topic of fierce disagreement within parliament, commentators have suggested creating a frictionless smart border is “perfectly possible and doable”. Despite the feasibility of an Irish smart border post Brexit, the Irish government remains skeptical about the idea and have stated it would not be enough to prevent a hard border after Brexit. Although AI can solve a large proportion of the worlds most challenging issues, political disagreement may be out of its remit. Ending free movement between the UK and EU could leave businesses with vacancies they can’t fill with home-grown talent. Training is an option, but it costs time and money. Adecco’s Brexit: retaining talent through change report found more than a third (34 per cent) of managers plan to plug skills gaps with automation. In London the figure rises to 40 per cent. AI is a long way from replacing humans for many job roles, but necessity is the mother of invention and the paradigm shift of leaving the EU could force more creative solutions to emerge. Even as we approach the final days before the UK is due to depart from the EU, the country remains divided. 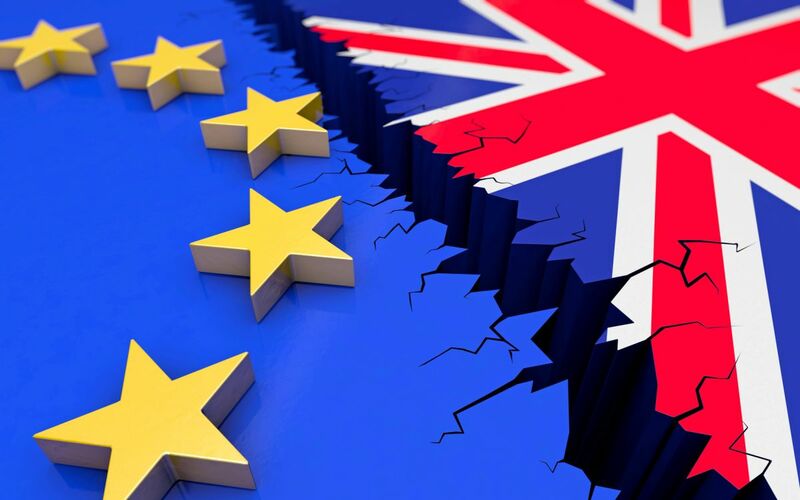 A reported one million people marched on Westminster against the UK’s withdrawal and a petition to revoke Article 50 and remain in the EU has topped 6 million signatories – some 12 per cent of the electorate. Three years after the referendum that set the UK on the path to withdrawal, it’s arguable that the ‘will of the people’ has changed – and people certainly are arguing about it. So, if Brexit became a problem too complex for humans to solve, could AI make the decision for us? In a representative democracy like the UK’s, elected politicians are chosen to act in the best interests of the country – but humans come with their own biases – not least the desire for re-election in the case of MPs. So, would removing the human element and presenting an AI with objective data about the economy be such a bad way to go? If everyone had a proxy AI vote for them based on data about their lifestyle, social and economic status, would it make a more objective and less emotional decision? For now, it’s a problem for science fiction writers. In the meantime, the UK looks set to leave the EU without a deal in less than month.